The artistry of this piece is evident. 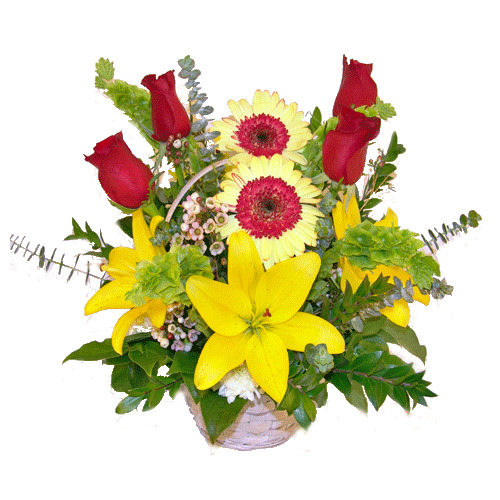 The green and yellow assortment colors gives the sense of a full experience. Lilies, roses,gerbera dasies,and irish bell make this one a winner! Standard Basket includes 8 stems. Deluxe Basket includes 11 stems. Premium Basket includes 14 stems.